Chatwal Hotel chain offers great accommodation and splendor of bygone era associated with unparalleled accommodation facility and fresh perspective. Chatwal's 76 guest rooms are intrigued with custom-designed luxuries that recreate the decorative depiction of 1930s. The company offers a wide range of comfort with the moment of check in. They have 24 hours service fitness lounge with suitable facilities and personal training equipments. The company offers exotic experience of Spa with three different treatment rooms - private suites for changing along with steam shower; relaxation lounge along with spa aperitifs; infinity lounge. They even offer various perks for business services like faxing, printing, computer rentals etc. There are currently 0 consumer reviews about Chatwal Hotel available. Share your review. Please take a note that you are about to post a public review about Chatwal Hotel corporate office on CorporateOffice.com. This review will be public, so please do not post any of your personal information on this website. 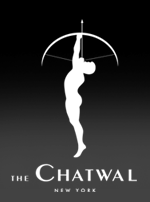 If you would like to contact the corporate offices of Chatwal Hotel, please use their contact information such as their phone number, website, and address listed above to contact them. However, sometimes staff from Chatwal Hotel headquarters do read the reviews on this website.